We Always even take time out to see some of the ROSEATED SPOONBILLS and EGRETS NESTING ON A ISLAND. On our fishing trip you will have the chance to see alligators, porpoises, otters, raccoons, nutria, wading birds, pelicans and waterfowl. 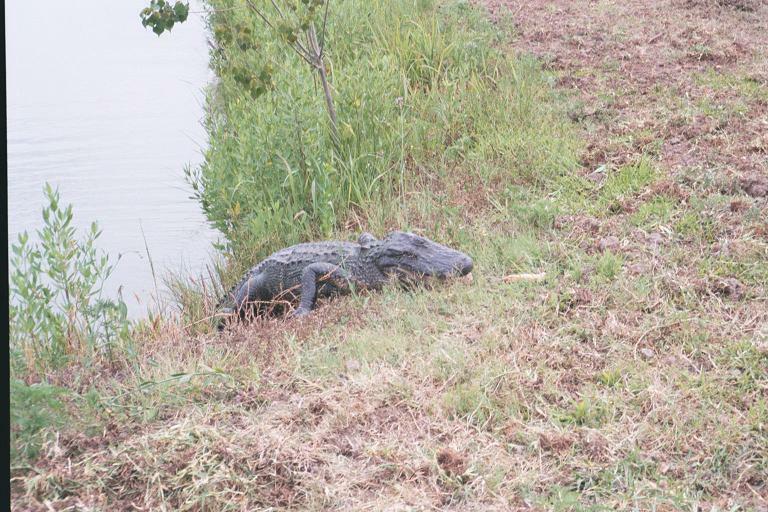 Picture of an 8' Alligator that was in my back yard!! !